Uncle Sam wants you! To know that all t-shirts were not created equal. Take a pledge to make yourself comfortable and order the Bayside Men's 7100 WHT White Cotton USA-Made Pre-Shrunk Pocket Work Shirt. What makes this t-shirt different? First, it's made in the ... (see full details) (see specifications) #BAY7100WHT. Uncle Sam wants you! To know that all t-shirts were not created equal. Take a pledge to make yourself comfortable and order the Bayside Men's 7100 WHT White Cotton USA-Made Pre-Shrunk Pocket Work Shirt. What makes this t-shirt different? First, it's made in the USA, so you get great quality and pride in what you wear. Bayside delivers a classic, no-fuss style in a full cut for mobility and comfort when you wear this white shirt. This men’s shirt is in white, simple but clean for wearing alone or as an undershirt. For extra comfort, this Bayside shirt has shoulder-to-shoulder taping, strips of fabric that cover the seams along your neck and shoulders. Taping also provides durability, meaning long wear and high value. A pocket on this American-Made shirt offers you storage convenience for your phone, keys, or pens. Because Bayside is serious about t-shirt construction, a double needle finishes the hems. It doubles the strength of the stitching and helps you look effortlessly polished. In case you're not convinced about this Bayside shirt, it's made from pre-shrunk heavyweight 100% cotton. This means no thin spots after only a few wears and no worries about it shrinking after you wash it. Who doesn’t like easy wash and wear? When a thin, too tight t-shirt won’t cut it, don’t suffer in discomfort. Choose the Bayside Men's 7100 WHT White Cotton USA-Made Pre-Shrunk Pocket Work Shirt for the quality and comfort you deserve. 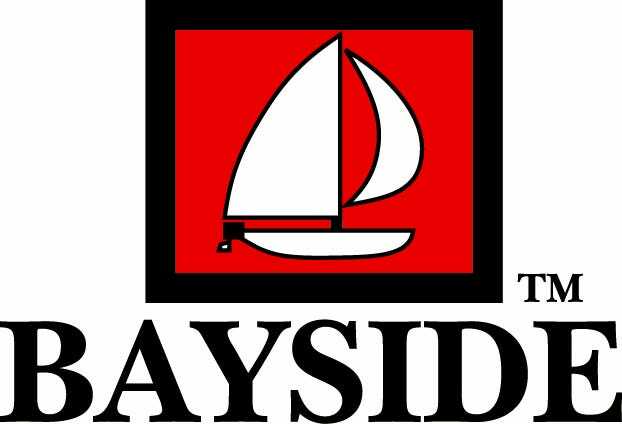 Just the fact that these Bayside shirts are made in the USA is enough reason to buy. I would call these a medium weight Tee, with an air of quality. Bought 5 of these to tie die for work. After a couple of washes they softened up and are a pleasure to wear. Hopefully they are as durable as the are comfortable. I can't believe anybody makes a shirt this high of quality in this day and age. I bought 6 of these, and they look like they will last forever. made in USA? wowee! The fit is trim, but allows you movement, suitable for a gardener like myself. I wear them under another shirt, but the stylish pocket means come spring, I'll simply wear it as a solo act. I purchased these MADE IN THE USA t-shirts just for that reason. MADE IN THE USA! As a Teamster, I really appreciate the opportunity to proudly wear clothing made here in the USA! These shirts have a front pocket to hold my phone and reading glasses. The cotton is nice and thick and not thin like most of the imported shirts. And for $10 a shirt, YOU CAN"T GO WRONG! Made in USA, comfortable, true to size. The best part is they're versatile. Under a dress shirt they work fine, but they're also good for wearing alone. Old guys like me appreciate a pocket for our glasses. My husband and boys needed good undershirts for there dress shirts on church Sundays and for holidays. At first I was afraid that they wouldn't hold up and be a waste of money. After numerous washings and boy abuse they have held up so far and I have no complaints. Great deal for the price and should be considered for those on a budget. Bayside Shirts: Men's 7100 WHT White Cotton USA Made Pocket Tee Shirt is being added to your cart.